It's time again to share my favorite beauty products that I personally favored in September. In this monthly batch I have a three new lip favorites, three new daily skincare products and a brow essential that I've added to my makeup routine. When it comes to after shower moisturizing I can be very lazy. Don't get me wrong I want baby soft skin as much as the next person but it's just that it takes forever to apply and then you have to worry about it drying before you put clothes! 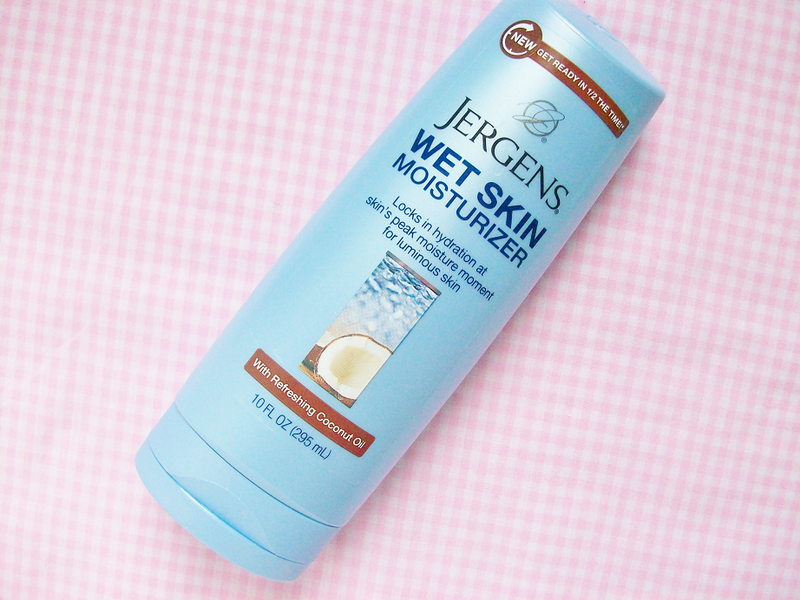 So I usually just skip it altogether, But when I saw this wet skin lotion by Jergan's I thought this idea was brilliant! After you finish taking a shower, before you dry off with your towel smother this all over your body, then pat dry with your towel. 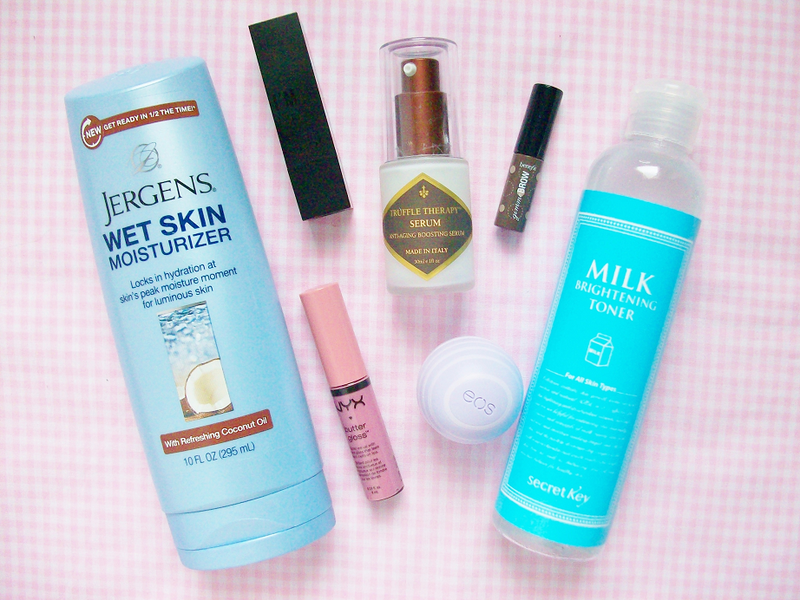 This watery coconut oil cream works wonders! Ever since I started using this two weeks ago I've noticed a significant change in my body, softer skin! And it's becoming more and more smooth with every application! Now that autumn is here I've been trying to switch up my lip game with more deep and neutral colors. I've been using this lipstick by Memebox called Monica and it's a gorgeous natural coral mauve with hints of red. It's a few shades dark then my natural lip color so it fades naturally, which is great because then I don't have to worry about reapply throughout the day. I feel like nearly every blogger or Youtuber has talked about this lip gloss and I can see why, it's a beautiful candy pink lip gloss. When I wasn't wearing the Memebox lipstick I would wear this gloss. And can we talk about the smell? 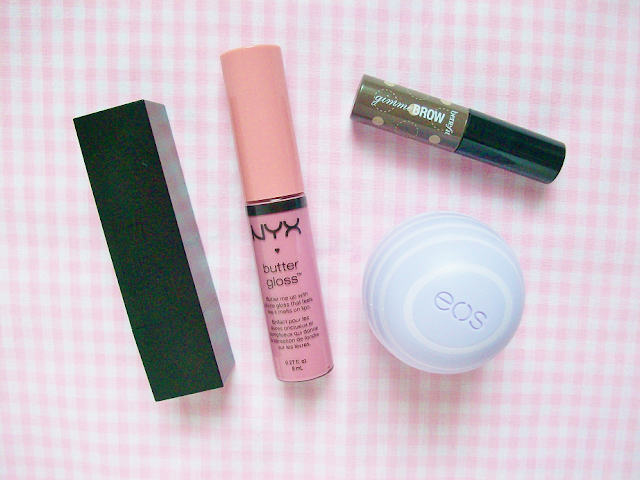 I love how NYX lip products all smell like delicious desserts! This is a Birchbox favorite. I took this along with me to Florida last weekend and fell in love with this product. The cone shaped brush is small, which is great for a controlled application. I got the medium/deep color but I would probably get a lighter color if I were to buy the full-size (I like a natural brow look). Every time EOS comes out with a new flavor or design I need to go out and buy it! I how the packaging of this one is lavender colored. It smells and works pretty much the same as every other EOS lip balm. Ever since I've added this serum to my skincare routine I've noticed how soft, smooth and moisturized. The serum is light and has a delightful aroma! I am so glad I only bought this for $15 because if I were to pay full price for this product I probably wouldn't be talking about it now. 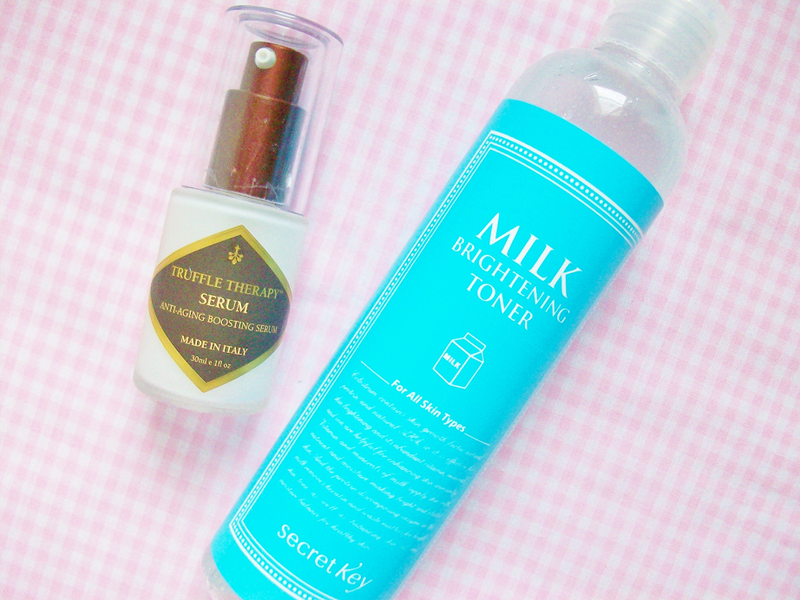 I've been using this for about 3 weeks and I can definitely confirm that I love this toner! I feel like most toners can drying out the skin but this one doesn't. 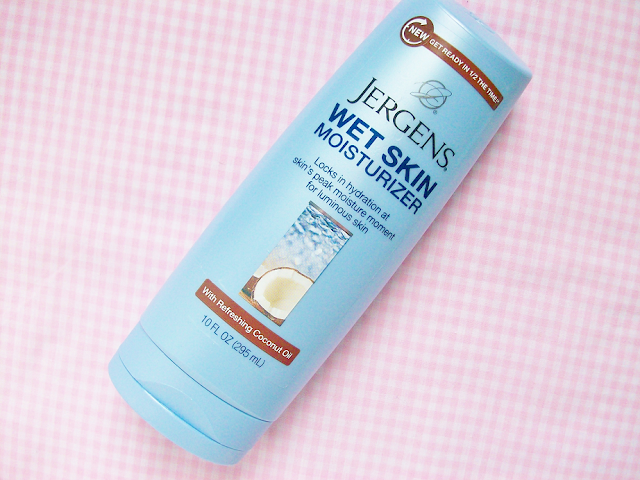 It's really hydrating and makes my skin feel moisturized even before I layer on my moisturizers! 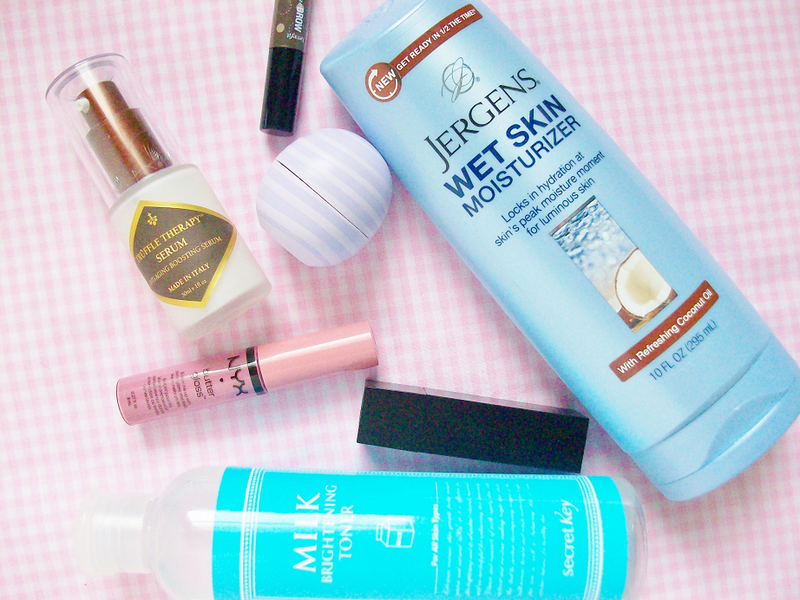 What is one of your current favorite beauty product?